Two restaurants were designed for this space at IAH. The larger space houses a Cantina Laredo, which is a higher end restaurant distinguished by its sophisticated material, texture and color palette. Rugged stone cladding, deep brown tile, and rich wood wall paneling/table tops integrate with neutral colored seating elements and architectural dividers. 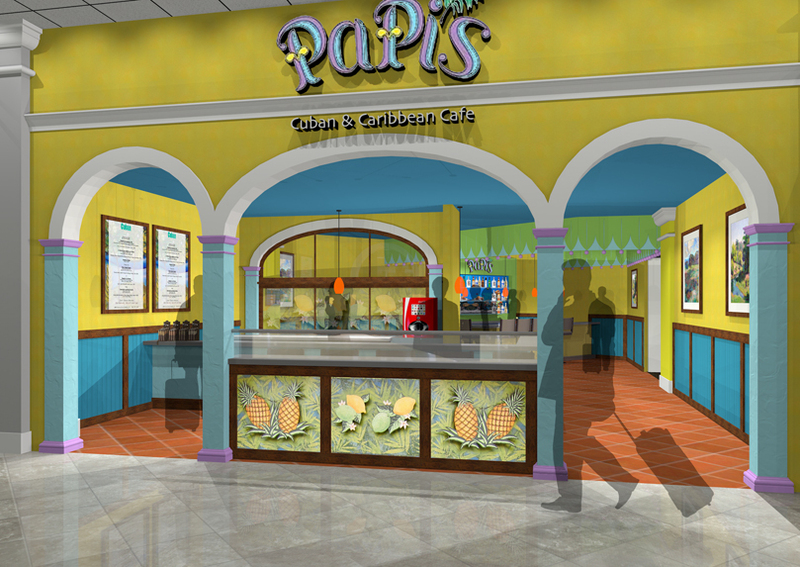 Papi’s is a Caribbean Cafe that features a regionally derived bright pastel color palette, native wood trim, and local plant and animal motifs, all set within the essence of Cuban streetscape, complete with an inviting arched colonnade.